PhotoDirector puts a powerful set of photo editing tools in the palm of your hand, so that you can enhance photos the moment you take them, and share them with your friends and family instantly on Facebook, Flickr and more. You can remove photobombers from your photo, adjust saturation, enhance tone, apply and adjust one-click photo effects, or even add a dramatic HDR effect, to create vivid, beautiful images on the go. 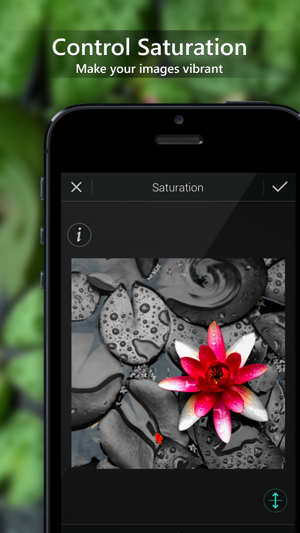 Anyone can achieve outstanding, DSLR-like results in a matter of seconds with PhotoDirector. - Adjust individual, or all, RGB color channels in your photo to easily colorize your shots, or correct tough white balance problems. - Smoothly crop and rotate photos for the perfect image composition. 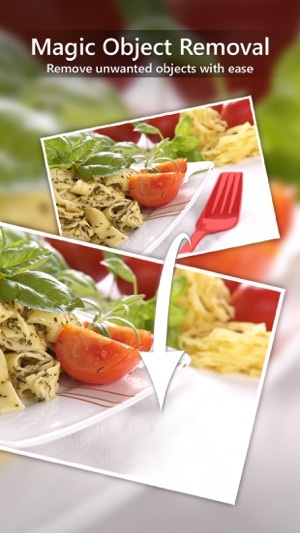 - Remove photobombers, or unwanted objects, from your photo with content-aware object removal. - Add mood and style to your photo with one-click overlays. Select from light leak, grunge, lens flare and more. 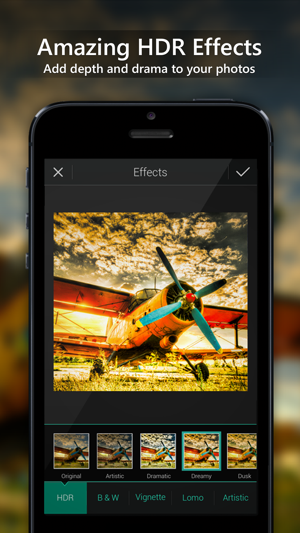 - Add enchanting bokeh, tilt-shift or depth-of-field effects in your photos with Blur tools. 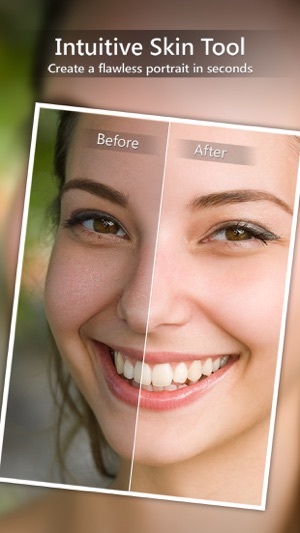 - Easily touch up portraits on the move with the accurate Skin Smoothing tool. - Select one of 15+ picture frames to add to your final photo, and give it that finishing touch. 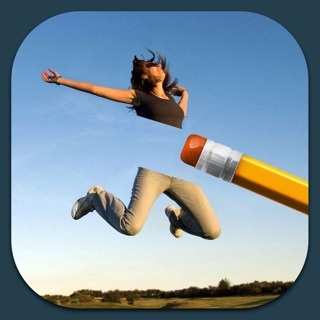 - Creative text bubbles let you tell even more stories through your photos! 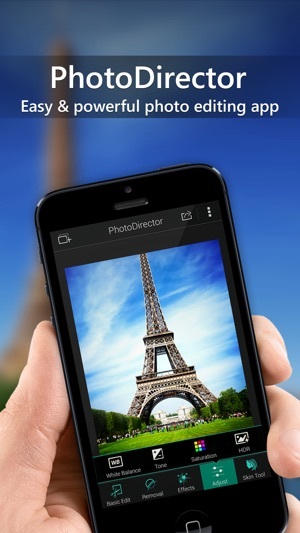 - Shoot directly to the app with your device's camera, or edit images from your Camera Roll. - After you have finished editing, adjusting and enhancing your photo, you can share it instantly with your friends, family and followers on Facebook, Twitter, Flickr and more photo sharing networks. Take the perfect shot every time with the new in-app camera module. Apply live blur masks, set shutter timers, adjust brightness and more. Enhance your photos with 4 handy filter packs for FREE! When I was first looking for an application that I could use to help me with my photography as a avid , Would be photographer for my family’s memories, I asked my favorite photographer what application she recommended. She gave me a host of the usual selections, Snapseed, FaceTime etc., but as a result of looking at different applications I stumbled upon PhotoDirector. I am so glad I did this is a premium application, easy to use and really really does a great job of being my partner photographer. I must use! I've been using the free version which I appreciate the generosity of the folks who made this editing software. I shoot for fun and this free program can retouch any imperfections in the finished photograph and I can just imagine what the paid version can do. I just started shooting in 4 K and with the paid version it supports it and allows editing. When I get enough money saved up I'll be buying the program. Thank you.